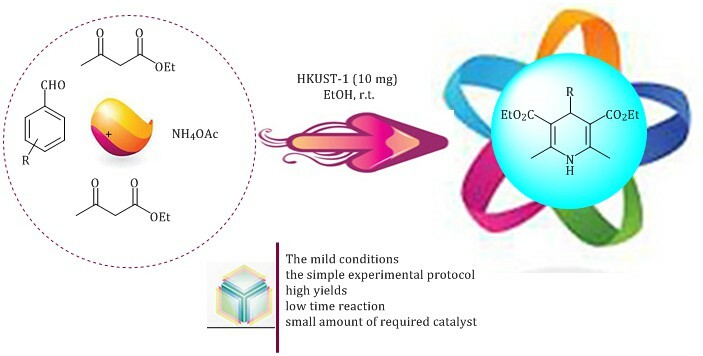 One-pot synthesis of Hantzsch 1,4-dihydropyridines (1,4-DHP) under solvent-free conditions catalyzed by HKUST-1 metal-organic frameworks are reported here. This method provides 1,4-dihydropyridines in good to excellent yields with little catalyst loading. 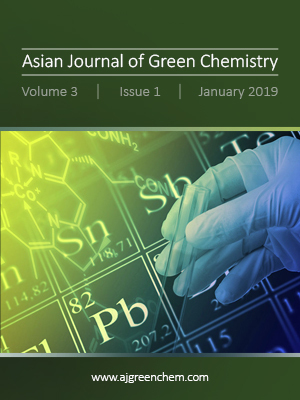 The present methodology offers several advantages, including ease of the preparation and handling of the catalyst, simple and easy work-up, short reaction times, high yields of the products and recyclability of the catalyst.